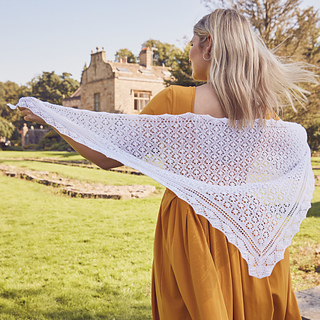 This shawl starts as traditional Estonian lace shawls do: casting on stitches with double thread and working the edge in garter stitch. Decreasing in every RS row gives the triangle shaping. 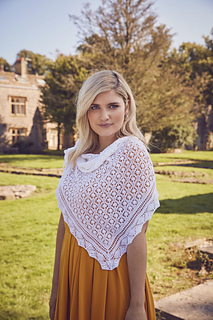 This pattern features in Issue 67 of Knit Now, which is on sale from 10th October in supermarkets, newsagents and craft stores across the UK. Copies can also be ordered from MoreMags or if you prefer, digital editions are available via PocketMags.